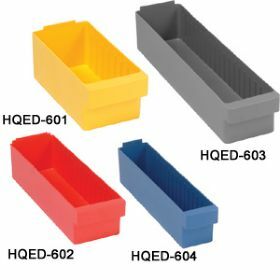 Find industrial plastic storage bins in several colors for identfication, bin shelving, bin cabinets & other small parts storage at Material Handling Solutions. 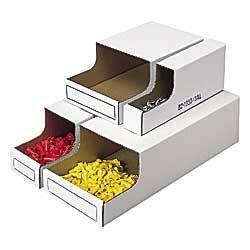 Find ESD & Conductive Bins. Save money with our cardboard bins. 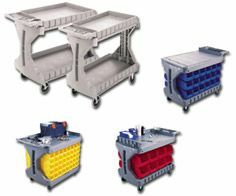 For heavy duty industrial applications, check our metal bins. 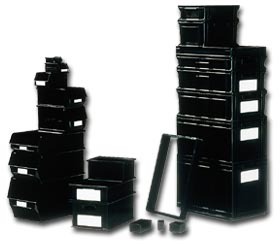 Check our newest selection of Euro Bins & Drawers. 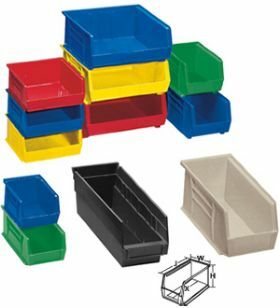 For storage of larger items, check our section of plastic totes. 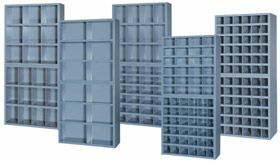 We are proud to carry one of the largest selections of fiberglass trays. 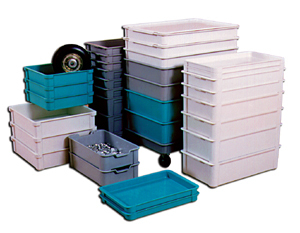 Use bin carts to make transporting plastic bins easy. 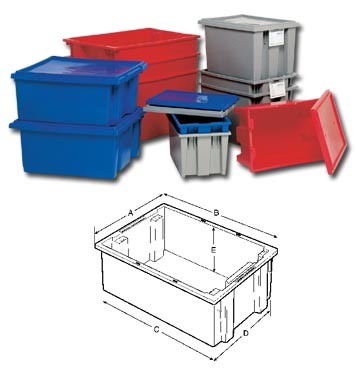 Our large sales volume of plastic bins allows us to obtain better discounts from our vendors. 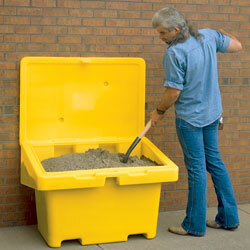 Some of the bins we carry are akro mils and quantum storage bins. 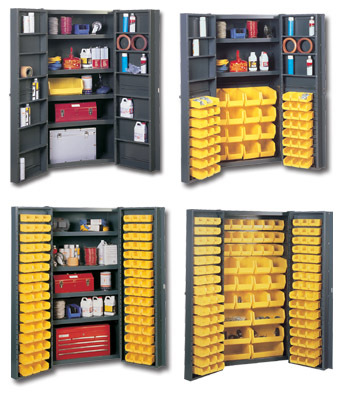 We also carry of full line of bin shelving and bin storage cabinets. 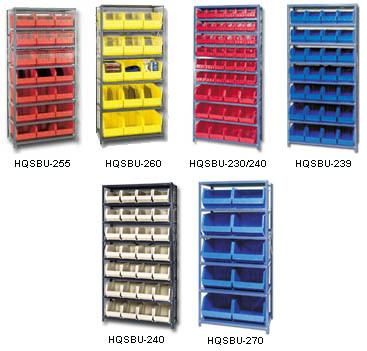 We carry a large selection of industrial and material handling equipment at low prices. We also have trained personnel to answer all of your questions so please feel free to calll us toll-free for assistance.